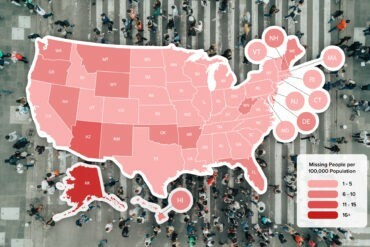 Millennials are choosing to move back home or rent longer rather than purchase a home after college. They’re also less likely than other age groups to live alone whether they rent or own a property. Tough job markets have made it difficult for young adults to find jobs that pay enough, and the burden of student loans means those dollars don’t stretch as far as they used to. One of the biggest reasons, however, is a sense of safety. Let’s dive into the survey results the team at VivintSource.com gathered and see what’s going on. 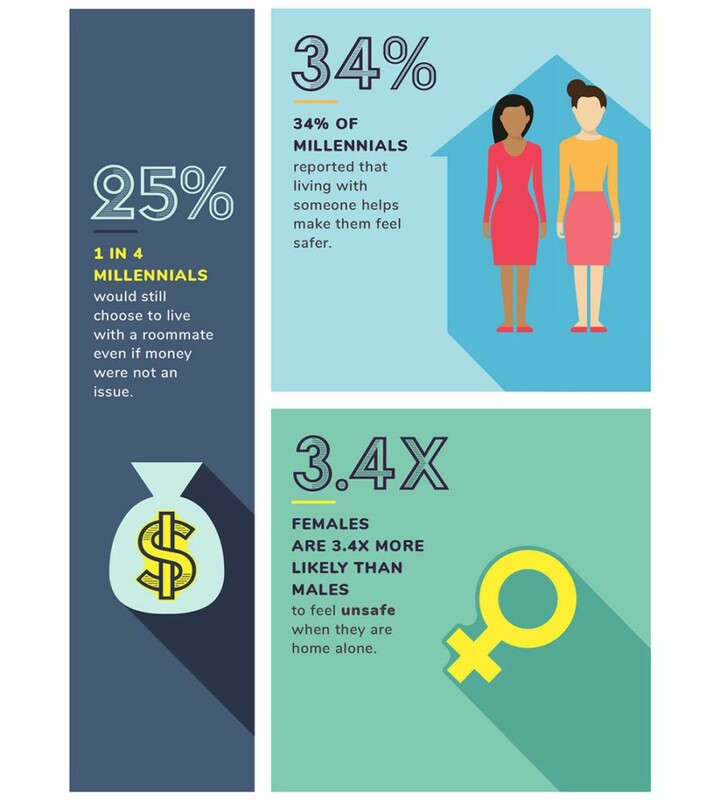 Of the millennial women surveyed, 1 in 3 feels unsafe when they’re home alone. They’re also 3.4 times more likely than men to feel this way. According to our results, 34% of millennials report that living with someone helps them feel safer. Even if money weren’t an issue, 1 in 4 millennials would still choose to live with a roommate. Roughly 23% of millennial women worry about being a victim of assault when living alone, and 19% are scared of being murdered. 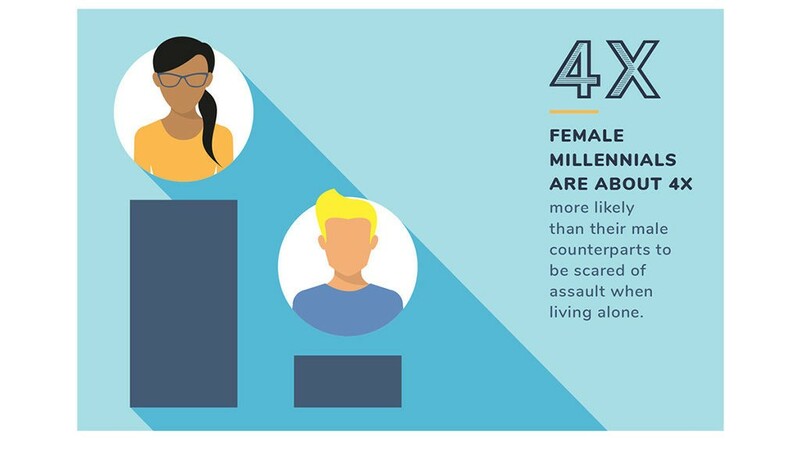 Female millennials are about 4 times more likely than their male counterparts to be scared of assault when living alone. To gather this data, we surveyed 500 Americans about their feelings towards living alone. Our questions focused on whether individuals had ever lived with a roommate, their primary reason for doing so, and whether they felt afraid of living alone. The survey results show that 64% of respondents have lived with a roommate at some point in their life. Of the individuals who responded, 14% like living with a roommate because it makes them feel safer. The most common reasons for having a roommate include feeling safer, saving money on rent, and enjoying the company. Overall, 27% of millennials feel unsafe when they’re home alone. 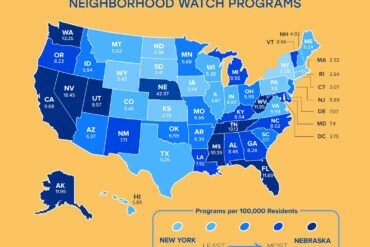 Around 23% of millennials who live alone worry about burglary. That number increases to 30% for millennial women. Additionally, 15% of millennials are scared of assault or murder while living alone. The data reveals that a significant number of young people are concerned about their safety when they live by themselves; this holds especially true for women. In addition to living with roommates or family members, millennials can incorporate personal safety tips to feel more secure in and out of the home. For example, always walking with someone, carrying pepper spray, and being aware of their surroundings can decrease millennials’ chances of becoming a victim to crime. And a monitored security system can help them feel more secure at home, whether they continue living with someone or eventually choose to live alone. About VivintSource.com: VivintSource.com is powered by Clearlink Technologies, LLC, an authorized affiliate and retailer of Vivint Smart Home products and services. Please contact media@vivintsource.com with any questions.